Last week – I arranged to do a stair session with Latif, a nice young chap from Indonesia whom I have known for many years. Latif had recently joined my company and had expressed an interest to come for a training session with me. He arrived 45 minutes late and looked a little puffed already from his walk from Bukit Batok Nature reserve to Bukit Timah (where he had mistakenly headed to first). Latif had not been exercising regularly for sometime and was a little out of shape with a busy recent few months in his life which involved getting married and moving jobs and countries. 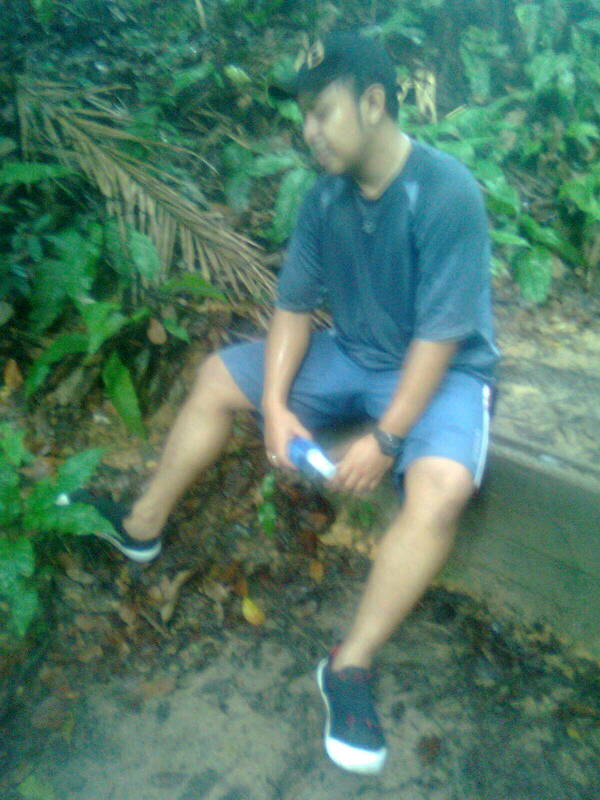 Within 30 seconds of starting off up Bukit Timah hill, I knew he was going to be in trouble. Not because he was going so slow but because he was going to fast! ‘Slow down my friend – we have along way to go today’ I kept trying to remind for the first 5 minutes as he raced off in front of me. Very soon I passed him, his conversation had stopped entirely and I could hear his breathing coming in short labored gasps. Just below the summit there is a small section of steep stairs which I suggested to Latif we would run up. Off I went and soon popped out on top of Bukit Timah – the highest point (excluding buildings) in Singapore, at the grand elevation of 170m ASL. After waiting at the top for a few minutes I knew something was up as Latif had not appeared, so I wandered back down the stairwell to find him sitting on the stairs looking very sorry for himself. Just as I reached him he vomited into the bushes. A very sorry looking Latif paying the price for going too high to fast! As you can probably tell, Latif had pushed his body too hard too quickly. The build up of lactic acid which his muscles produced from the extreme exertion was too much for his body to cope with and it reacted by forcing him to vomit. For Latif, simply sitting down and resting for 5 minutes allowed his body time to readjust and he was able to keep going for another one hour, albeit at a much slower pace.He definitely now holds the record for the fastest vomit of anyone I have trained with! He blew out even faster than Danon The, who last year followed me onto the stairwells with his camera to take some shots. Danon also started far to quickly up the stairs and passed out completely halfway up. 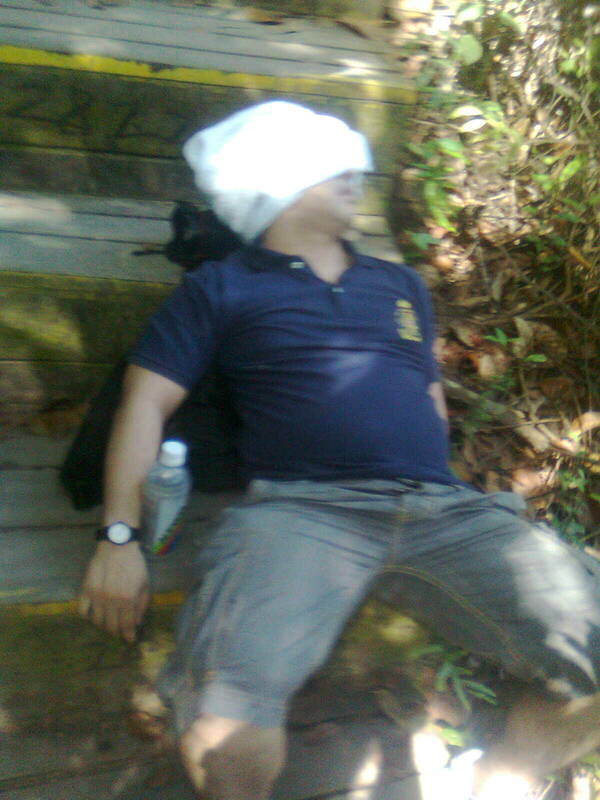 It took him 20 minutes of complete rest, lying down with his towel over his head to even be able to stand again! A very sorry looking Danon, paying the price for going to high too fast! I could not help but think as I watched Latif suffer and thought about Danon, how I too would soon be struggling on Everest. Most altitude related problems also arise from ascending to high too quickly. Just to get to the Everest basecamp, (located at around 5200m elevation in Tebet), will require a number of days of carefully timed ascents and rest, in order to arrive there safely. Flying straight to Everest base camp from sea-level would result in death in a matter of hours! Unlike Latif and Danon, whose problems related mainly to lack of fitness, a simple exercise regime would help them out. Altitude however is almost completely unrelated to physical fitness and the only way to avoid getting altitude sick is by ascending at a slow enough rate to allow your body to adjust. This adjustment involves physiological changes, with your body attempting to adapt to utilise the lower amounts of oxygen more efficiently. Your blood becomes thicker as more red blood cells are produced. You don’t however want it to become too thick or else this leads to other complications – hence some climbers take blood thinning medication like ASPIRIN daily. It’s very difficult to try to train your body for altitude when living in Singapore. The only way, is to use some manmade device which recreate artificially a lower oxygen environment. Kenneth Koh who will also be joining me on Everest uses a Hypoxicator tent which he sleeps in every night. This reduces the available oxygen, and forces his body to adjust accordingly. It can simulate a lower oxygen environment, however not the lower air pressure (air pressure at basecamp on Everest is around 50% lower than sea level – at the summit is around 30%). Ken seems to feel the tent helps him, at least to a certain degree. He sleeps in the tent at an altitude simulated at around 4000m. He also does crank it up higher for brief periods to cycle in on a stationary bike. (Speak to Ken directly for more details if you are interested). 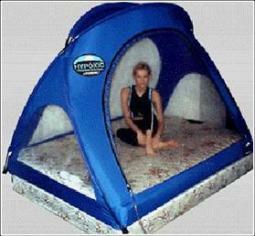 An altitude tent - can be set-up in your bedroom, and similar to what Ken sleeps in at night times. However slowly I ascend – the process of acclimatization is not something I am looking forward to. It is a miserable period of sleepless and restless nights punctuated by vivid dreams, thumping headaches, nausea and shortness of breath. Any sleep you do get is interrupted by waking too a sensation of suffocation. You wake up gasping as your body screams for more oxygen which it was not getting enough of as you slept and your breathing rate slowed. 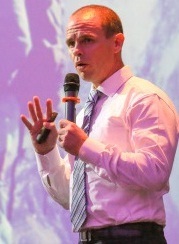 Another side effect of acclimatizing is the constant need to pee, an inconvenient process when lying in a tent in below freezing conditions (although having a pee bottle inside your sleeping bag greatly relieves the discomfort of this process – as long as you do not confuse your pee bottle for your drinking bottle!). Well there is now less than 2 weeks to go before I depart for Kathmandu. 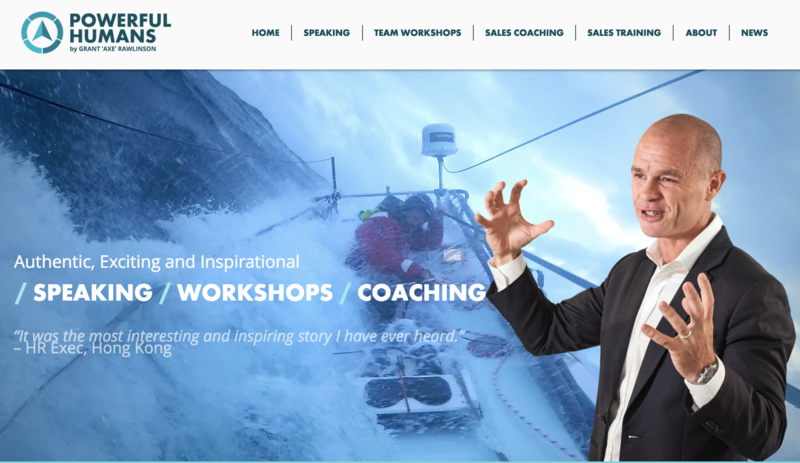 An extremely busy period of working, travelling to Bangladesh , presentations , training and packing for Everest! It will be a relief to get on that plane on 6th April and finally head off for Kathmandu! For those based in Singapore please come along to the presentation evening and my farewell at the Singapore Cricket Club on 1st April as per the attached flyer below, will be a great night! 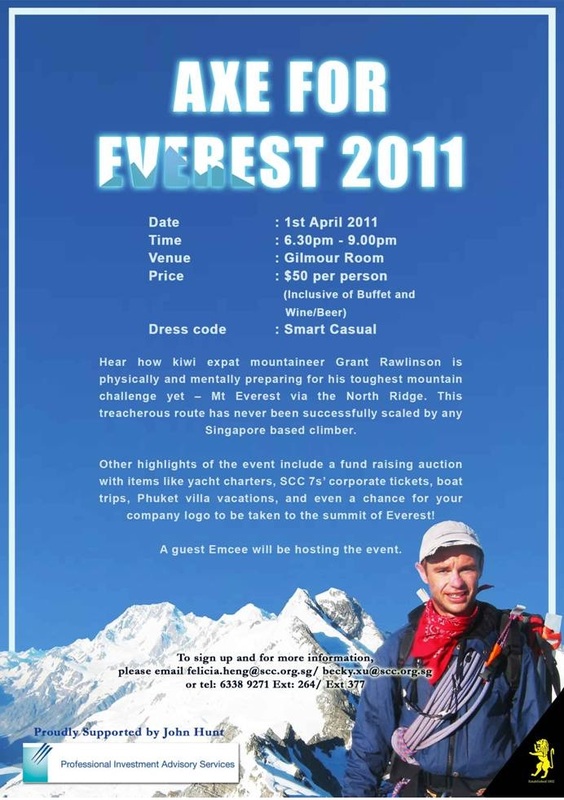 Posted on March 23, 2011, in Everest 2011. Bookmark the permalink. Leave a comment.